What has been the relationship between the human and non-human on the Korean peninsula from the premodern to modern periods? What cultural, political, economic, social, and religious factors and forces have mediated this relationship over time to reshape the natural and material landscapes of Korea? To answer these questions and to shine light on environmental issues on the peninsula, EnviroLab Asia at the Claremont Colleges and the Center for Critical Korean Studies at UC Irvine (CCKS at UCI) co-organized a conference, Korea at Nature’s Edge: Environment and Society on the Korean Peninsula, held April 19-20, 2018 at UC Irvine. With 20 presenters and discussants from Australia, The Netherlands, South Korea, Sweden, and the United States, the conference featured 11 papers that covered a wide range of topics, including the physical landscapes of the Korean peninsula, rural work and Red Cross in North Korea, waste in South Korea, organic farming, environmentalism in North Korea and the politics of nuclear energy in South Korea. Participants and audience members engaged in intense debates over the meaning of “environment” and how the human/non-human relationship can act as lenses for uncovering transformations and continuity in society. The lively discussion zeroed in on the question of how can the study of the environment on the Korean peninsula not only generate new approaches to Korean Studies, but also widen perspectives in the global environmental analyses. These deeply engaged conversations will continue in the Spring of 2019, when EnviroLab Asia and CCKS at UCI co-organize a follow-up workshop at Claremont McKenna College. It will serve as a forum for conference presenters to discuss their revised papers in advance of the submission to an edited book, tentatively titled Natural Encounters: Environment and Society in the Korean Peninsula. 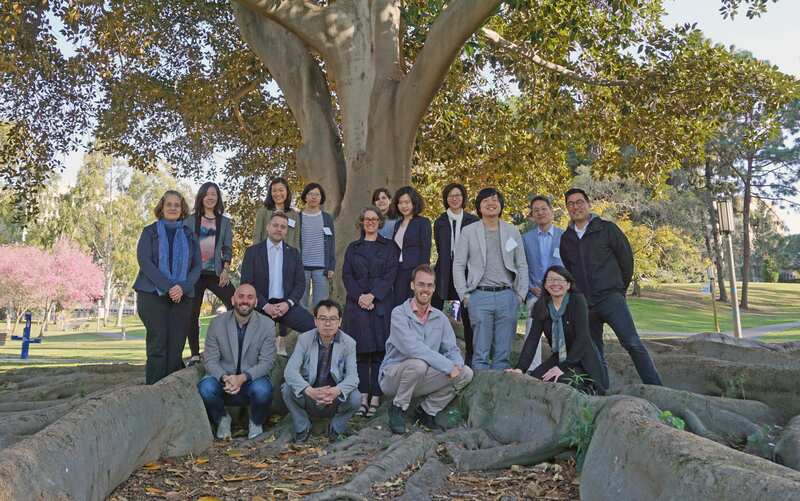 The conference and workshop are testaments to the commitment of EnviroLab Asia and CCKS at UCI to breaking grounds in new research on environmental studies in a collaborative manner based on the dynamism of the liberal arts colleges and university.